Michael Arnzen is the Chair of the Humanities Division at Seton Hill University, near Pittsburgh, where he was recently awarded Professor of the Year. He also mentors speculative fiction and horror/thriller novelists in SHU's innovative MFA program in Writing Popular Fiction. Arnzen's latest books are The Gorelets Omnibus (a collection of sudden horror poetry) and Instigation: Creative Prompts on the Dark Side. Arnzen has won the Bram Stoker award four times, for his fiction, his poetry and his experiments in the horror genre over the past twenty years. DM: Thanks for taking the time to chat with us Michael! 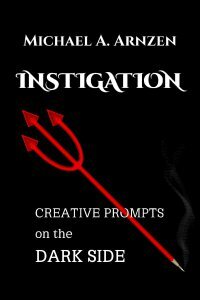 Your ebook, Instigation: Creative Prompts on the Dark Side, is a collection of writing prompts and articles that you've written throughout the years. Could you introduce our readers to Instigation? What motivated you to put this book together? I always like sparking creative fires to see what burns. As a writer, for instance, one of the thrills for me is seeing what an artist might come up with for a book cover or story illustration... it always amazes me. "I helped make that," I think with a smile... and yet the surprising interpretations and realizations of the ideas always become something completely not me, either...something unique and clever. Writing prompts are a more direct way to trigger that. A number of writers subscribe to my missive, The Goreletter, so I started including dark and funny "prompts" as a department in the newsletter for them called "Instigation: Twisted Prompts for Sicko Writers," and I've always been thrilled to hear back from people who created new works based on them. Then the series was picked up as a weekly column by Hellnotes for about a year or two, which they used to solicit contributions from writers for short-shorts for their online site. I teach full-time at Seton Hill University, so I also used these twisted prompts in my creative writing classes and seminars from time to time over the decade that followed. So last year, when I realized I had over 300 of these wacky and sicko prompts, I felt the time had come to compile them all into a format I could share. When Raw Dog Screaming Press published the huge retrospective book, The Gorelets Omnibus, the hardcover edition featured all my prompts in a special bonus section. But I felt I could do more. So I added about 200 more original prompts, a battery of articles related to brainstorming and sustaining a publishing career, and the Instigation e-book was born! DM: Most writing prompts (for me at least) are dull and uninspiring; your prompts are anything but! I think you've perfected the art form for people with twisted imaginations. How did you get started doing these prompts? I started taking my writing seriously when I was in college, and I used to always enjoy the challenge of a good creative prompt in my classes. I used to take what the teacher was asking for -- usually some safe and generic question, like "Describe what you ate for breakfast" and push it through the sausage grinder of the horror genre, just to mess with the professor or my classmates -- coming up with things like "As a cannibal, a complete breakfast includes cereal, toast, juice, back bacon and legs." I didn't just do it for kicks -- I always was frustrated with how boring and tame these prompts were... for being "creativity starters" they didn't seem very creative at all. So when I became a college teacher myself, I just adapted my sickness to the other side of the desk, and came up with the craftiest prompts I could -- partially as a parody of the genre of the prompt, and partially because students really got into the challenge. They mostly wrote comedy, but that was fine too. Writing should never be boring, and neither should teachers. But there's only so many situations in the classroom where a sick writing prompt can be used. So I took this seriously and started including the prompts in my newsletter, The Goreletter, on a lark. People really liked these, so that only encouraged me to keep going. It became a ritual process from there...and I'm still doing it regularly, posting "Instigation" on gorelets.com and twitter and in my classroom to this day. DM: What do you most love about the horror genre? The sheer originality of the form, and the legacy of its history. Though it's often gotten a bad rap from the literati, if you look back over the history of literature you'll see that the best stories are the horror tales -- from Beowulf to A Christmas Carol, The Fall of the House of Usher to Turn of the Screw. We delve into the psyche and the unknown unlike any other genre. I truly believe it is the most creative of the popular genres, too. For one thing, the horror genre is THE genre where the only thing you can expect is the unexpected. And that's no cheesy slogan, either -- the whole point of much of the genre is surprise. For another thing, horror has no limits: you can put a horror lens over anything, or mix it into any other genre, and people will understand that this story is out to get you. And I have to admit, having grown up on MAD magazine and things of that ilk, on top of horror movies, I just have a sick sense of humor, so I love the horror genre because it makes me laugh a lot. Whether because it goes for the gross-out, or because it embraces the absurd, or simply because it often pulls the legs out from commonly accepted realities, I think it's a riot. Yes, I'm the creepy guy in the dark theater chuckling to himself when a movie character gets his head lopped off. DM: As a professor at Seton Hill University, you've had the opportunity to read a lot of student work. What is one aspect of writing horror fiction that you've found writers often struggle with? I love teaching writing, because I'm always surprised by people's imaginations on the dark side...but the number one problem, particularly with writers just starting out, is originality. More often than not, new writers rely on stereotypes and clichés, often picked up from movies. You simply cannot do that if you want to work in a genre where "surprise" and the "unexpected" is everything. Horror is a holiday (Halloween) so even the uninitiated know a helluva lot about horror even before they read their first novel in the genre. So if you're gonna write about ghosts, vampires, zombies, haunted houses, whatever, then you have to RIFF on the reader's expectations, and take them in an entirely new direction somehow. There is only one sure, time-tested way to break the habit of relying on the stereotypes and clichés: read across the history of the genre and learn what's already been done ("to death" as Ramsey Campbell cheekily puts it when he writes about writing). Beyond simply knowing all the "notes" that you can riff on, too many new writers often race too quickly through scenes or overlook important details that would make their setting richer. Horror by its very nature makes room for evocative, poetic style. I often find myself nudging writers to appeal to the senses...to really describe things in such a sensory way that we can really feel in our guts when we read. The language has to get into our belly and scratch around a little, tickling and scraping us from the inside out. DM: You resurrected your indie press Mastication Publications this year. How do you feel about the state of indie publishing 1991 vs 2013? What's the biggest thing you've learned in the past year? I've always been attracted to the "underground" of the small press -- it's sort of a punk rock kind of area to work in. I've always understood that the big blockbuster books and movies are going for mass audiences, and sometimes that means they tame it down into PG-13 territory, so they playing to the lowest common denominator of fear to turn a profit. But good horror works better in the R-rated zone -- if it's not "safe" for children, then surely it carries the potential to disturb us. Books don't have ratings, but the same thing happens in mainstream publishing. Indie publishers can happily play to their audience with gusto. The rise of the ebook and the easy access to cheap digital printing hasn't changed the indie spirit, but it does mean that there is no more underground, really. Anyone can buy anything at any time online. It used to be (back in the early 90s and before that) that you'd never hear about horror zines unless you went hunting for them. I never knew about them, really, until I saw listings in The Writer's Market, where I discovered zines and zines about zines! It was great fun to order these through the mail and be surprised by what arrived...you'd feel like you had access to a secret society or something. But now if I do, say, an amazon search for "horror," then a radical indie writer like Carlton Mellick III will turn up side by side with the Stephen Kings and Dean Koontzs of the genre. There is NOTHING wrong with that, and I say more power to them all! Great books are great books, and if they can be found in this ocean of material that's out there now, the really good writers will attract and grow an audience...that's just amazing. But the "culture" of the indie press has changed significantly. For one thing, facebook has fragmented and isolated us all into a zone that is a false culture. Online discussion boards are not the same thing as fan conventions or zine culture. In some ways, the archive capacity of the net is great because it allows genres to develop a historical legacy in the public library of the internet, but I don't feel people think of genres as historically as they used to, because we're all paying attention to the current releases. My belief is that readers are starting to connect with the identity of authors and publishers, more than literary genres, per se. Or at least more than they used to. 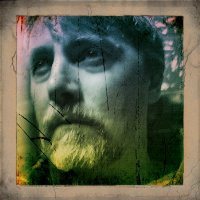 You don't think of "zombie fiction" as much as you might think of a publisher that specializes in it, like Permuted Press. So once you buy a book you fall in love with, you might read other titles by that same writer or by that publishing house. The role of the author is to guide readers into these cultures that sustain them, I think, not just to their own books. Our publishing houses are becoming our tribal affiliations in the niche market-driven, "on demand" publishing culture of today. DM: What advice can you offer for writers just starting out? Other than reading like mad (particularly the books by those publishing houses you'd like to be a part of), it's simple: write like mad and figure out the kind of writer you REALLY are, not just who you want to be. One mistake I think new authors make is that they feel that only novels are what they should be writing. I think it's wise to start small, selling shorts so that you can get your name circulating in the genre, not just to start building an audience of readers but also to build some name recognition among publishers. Some publishers solicit stories directly from writers they come to admire when they read around the genre. You can make a few dollars in the short story market while working on that full-length feature book, and the more short stories you write, the better you get at the craft of storytelling. There are no wasted words...everything you work on makes you a better writer. And if you just want to distinguish yourself and make a name for yourself, strategically survey the genre to find out what other writers are doing that you could do differently or better. One of the things I've done that I'm most proud of is my cd, Audiovile. It's an audiobook sampler of 100 Jolts: Shockingly Short Stories, that became more like a rock album of flash fiction, because I wasn't hearing anyone else do fiction audiobooks that way. The stories became transformed by the musical elements I added, and I'm proud of how it sounds. DM: What else do you have in store for us? Any new projects in the works? The popularity of both Instigation and the nonfiction book I co-edited shortly before that (called Many Genres, One Craft: Lessons in Writing Popular Fiction) have really got me thinking of more creative inspiration I can do on the dark side. I have a secret project I'm developing called "Diabolique Strategies" -- a dark and twisted lateral thinking game partly inspired by Brian Eno's infamous "Oblique Strategies" -- that I've already outlined and begun self-producing and I'm eager to release it to the world. And I'm plotting a new comedic novel involving...karaoke. But I won't really talk about that until it's finished. 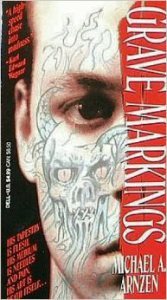 This year marks the 20th Anniversary of my first novel, Grave Markings. So I'm in talks with a publisher about releasing a special edition of that title around Halloween. I'm considering narrating an audiobook of that, as well. Why not? I'm actually plotting out several audio projects, because like I said above, it's something I've enjoyed messing with as a creative format. One I'm really excited about is compiling my humor columns from my newsletter and expanding them into an ebook which will probably be called "Pithy Morbid Thoughts" or something along those lines. If readers want to see what I'm up to, they should drop by my website at http://gorelets.com and subscribe to The Goreletter. That's the best way to hear things first...and to keep getting Instigated.